If I have solar panels, can I still switch? How do I switch to another FIT licensee? Did you know that even if you have solar panels, you can still switch? Plus, the big six energy companies are legally obliged to pay a feed-in tariff? 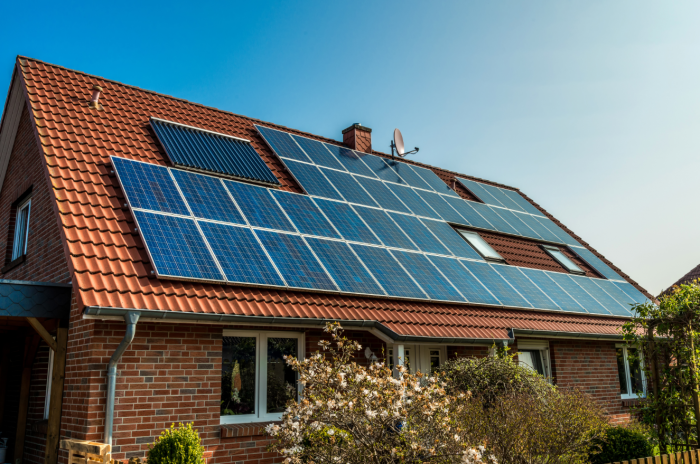 This guide will tell you everything you need to know about switching suppliers with solar panels, including what precisely a solar panel is, whether you can switch and essential information about feed-in tariffs (FIT). A solar panel is a panel that is traditionally attached to your roof, which uses solar power which comes from the sun to generate electricity. Luckily, with solar panels, you can switch energy suppliers. Switching with solar panels is just the same as switching without having solar panels. The energy supplier that is supplying you with the FIT still has to pay you, regardless of whether you switch from them as an energy supplier. A Feed-In Tariff is a subsidy paid out by energy suppliers. You will be paid by your FIT licensee, and they don’t need to be the same as your energy supplier. That means that it has no impact on which energy suppliers you can switch to or when, as you can have different contracts. When it comes to FIT, you could be saving £100s a year on your energy bills. Feed in tariffs are usually provided by a FIT licensee, which is authorised by Ofgem to give customers payments for producing renewable energy. This is when you have renewable energy generators such as solar panels on your property, which produce energy that you use with the excess being sold back to your energy supplier and the grid. One of the most important things to consider when deciding whether to switch FIT licensee, is that you won’t get a better deal financially speaking by moving. If your service has been poor, it might be worth switching. First, you need to make sure that when you consider a new licensee, that they can offer you a FIT contract. There are many more, but this covers some of the suppliers that are legally obligated to offer you a feed-in tariff. Then, you can contact them, you may need to fill out a form. Like a normal switch, your new supplier will take care of things for you. They will also arrange a reading which is when they make sure they have accurate numbers for the energy your solar panels produce. The single best way to save money on your energy is to have a well-insulated house. Draught proofing means buying cheap materials from your local hardware shop, so it’s not necessarily expensive. There is even some evidence to suggest that keeping your heating on at a lower level constantly could be cheaper than occasionally blasting your heating on for heat then switching it off. Turning down your thermostat for just 1 degree could save you £’s in the long run. If you want to cut down on any costs, you could just wear more jumpers, socks and slippers to avoid the temptation of turning on your heating. This doesn’t mean you should never use your heating though, as that could be dangerous for your health and things like your pipes and so on. As you can’t choose which shelves to heat in your oven, you could utilise all of the energy you’re using with it being on and pre-cook some meals for the week. You might want to use a small pan with the smallest ring on your hob when relevant, as using a huge ring might be costing you. Similarly when using a large pot, as it’d take longer to heat up on a smaller ring, you could be wasting energy unnecessarily. Once you have finished cooking your dinner, open your oven and let the heat from inside heat your house. Unplugging your energy-draining devices such as your TV, phone chargers and computer could give you some significant savings. There are some grants available that mean that you could be getting free cavity insulation. This could save you up to £98 a year!